Hypercraft Associates Ltd. is the leading consultancy dedicated to the successful commercialisation of emerging viable Wing-in-Ground effect (W.I.G) / 'Ekranoplan' high speed marine vehicles and related/adjacent technologies. Based in England, but with a global view, Hypercraft Associates exists to provide a catalytic function; combining the worlds' best technical resources with the business strategy and commercial management elements necessary to bring about the creation of a new era in transport and communication. Working within the possibilities and limitations of this exciting technology we seek to bring together potential applications, real-world customer/business requirements and state-of-the-art technology, to provide high-speed passenger, freight and paramilitary solutions. 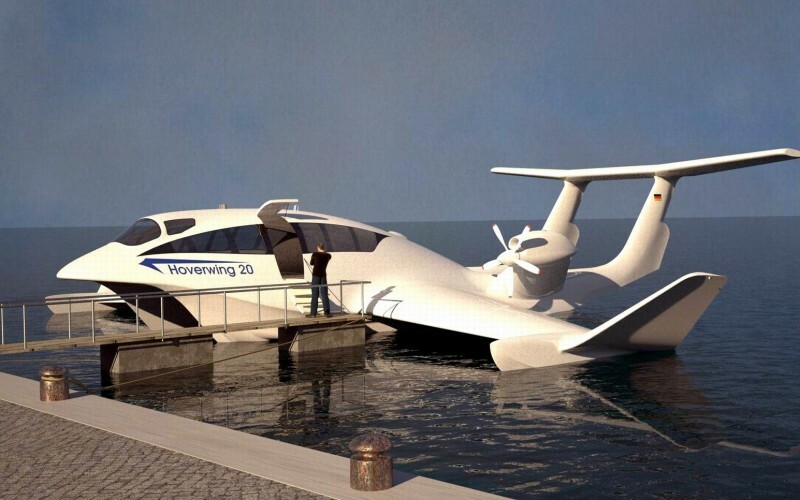 WIG / Ekranoplan technology is about high speed transit over water at circa 90 - 120 knots (that's two miles a minute! ), without touching it but riding on a dynamic air cushion that is 'ground effect'. No-water-contact means no slamming, no wake or wash, no seasickness, no fatigue for man equipment, greater ability to perform tasks while underway under and no spilling of the martini on the way. It is also fuel efficient and has high stealth potential. Such craft (those not capable of free flight like aircraft) can be certified, registered and operated as boats. Right now there are a number of different WIG / Ekranoplan projects taking place around the world which are aimed commercial, military and luxury operation within the next three years. But to be successful, technological perfection is not enough. Even more essential is the perfection of the supporting business models for manufacture, marketing and operation, which have to be matched with the technology;- WIG projects have failed before and they generally fail here. This is where Hypercraft Associates can help. 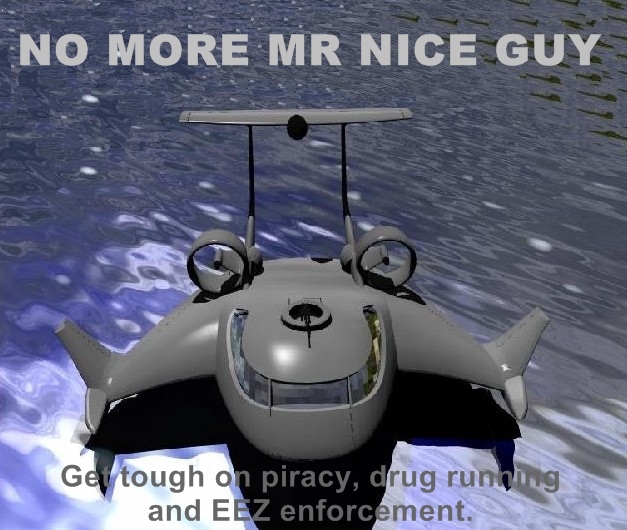 WIG / Ekranoplan technology is one solution to smooth high speed transit over water, but there are others. Some find the idea of cruising just above the waves a little too far-out. So, just as exciting, Hypercraft Associates has begun to develop a truly radical new approach to high speed 'conventional' vessels which might just change the way we think about boats in the future. This embraces its 'Hyperforce Propulsion' system and other technologies to maximise propulsive efficiency while minimising slamming, giving outstanding fuel efficiency and comfort at speed. Appointed as Representing Business Consultant/Agent for Fischer-Flugmechanik/AFD GmbH, Germany.